A short while ago, we published our report on the leaked contents of the Nintendo Switch Version 6.0.0 update, expected to go live next week. We’d like to point out something important that you may have overlooked in the report. Nintendo has added pictures for what appear to be NES, Famicom, and SNES controllers to their controller system on Nintendo Switch. Now you’re probably wondering what is the significance behind this. Having pictures of the NES, Famicom, and SNES controllers in the Switch are an indication that the company plans to make official NES, Famicom, and SNES controllers for the Switch in the near future. 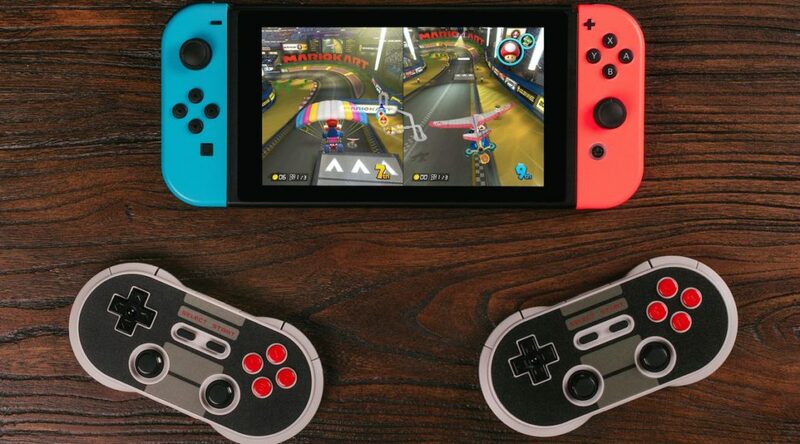 We can probably expect the controllers to behave a little similar to Joy-Con, so they will support Bluetooth and thus are wireless controllers. In addition, what this also means is that we’ll see SNES games added to the Nintendo Switch Online retro games catalog in the future. So far, 20 NES games are launching alongside the service. It’s highly unlikely that the controllers are the ones used with the NES Classic Edition, SNES Classic Edition, and Famicom Classic Mini due to their proprietary ports.